This article explains what the Outlook Plugin can do, and how to integrate the Outlook plugin. A recent version of Outlook installed on your PC. Windows operation system. The Outlook plugin is not compatible with Mac. Create new candidate or contacts directly from emails received in outlook. 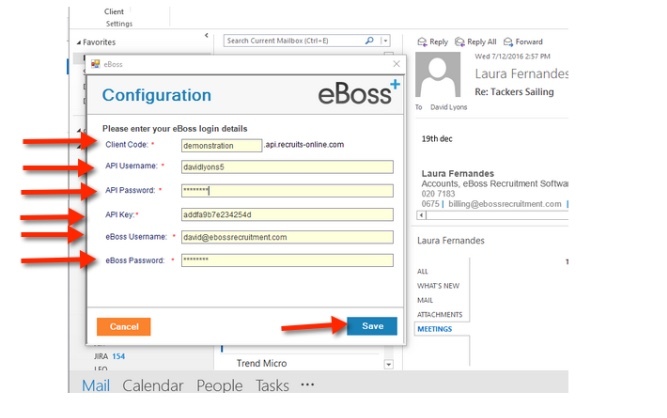 Identify incoming emails as contacts or candidates that already exist on your eBoss database. Drop CV documents to create candidate records on the fly. Create reminders and notes inside outlook that sync directly with your eBoss database. View candidate documents inside the outlook pane. 1.2) Click on the Setup Exchange API button. 1.3) Enter a username between 8 and 20 characters. 1.4) Enter a password between 8 and 20 characters. 1.5) Copy the API Key. 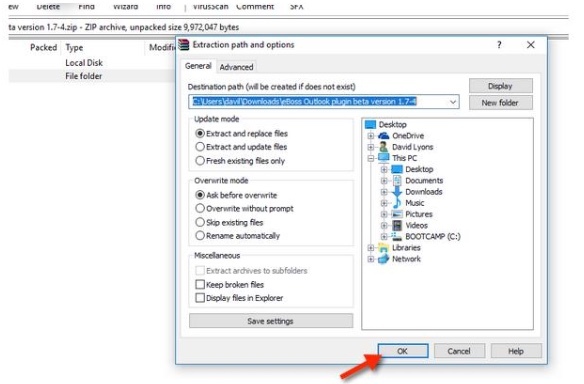 3.1) Extract the Plugin to your PC once downloaded. 3.2) Extract the Plugin locally. 3.3) Double Click the folder once extracted. 3.5) Follow the prompts until installed. 4.1) In the eBoss Tab, click settings. 4.2) Enter your API and eBoss Username and Password details.